Pick an event – any event – and harass everyone you know for donations in support of your quest to be a-moo-zing. Stand at a local shopping centre and rattle that tin. Or in your office. 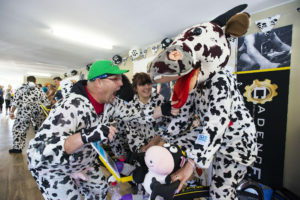 Or neighbourhood – in a Cow suit of course. 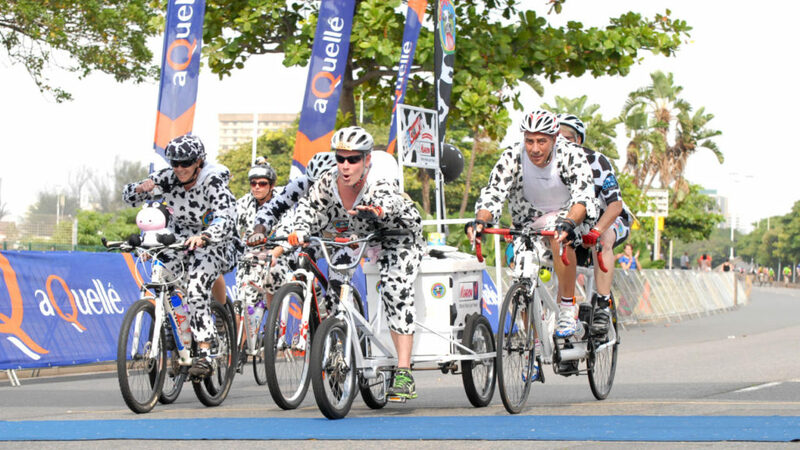 Get donations by just being super-amoozing – you don’t HAVE to participate in a sporting event to be a Cow! How many hotdogs can a Cow eat in 5 minutes? How many lengths can a Cow swim in a furry suit? The more outrageous the dare, the more money you’ll be sure to amass. Get you corporate to donate – they are able to get tax exemptions and points towards their BEE scorecard. Use our Corporate Sponsors Letter.to appeal to their warm-and-fuzzies. • Or whatever outrageous event you can come up with! Daisy will support you with branding and merchandise. Use our online donations portal, GiveNGain, and broadcast your project’s link far and wide, pestering your family, friends and colleagues to donate to your cause. See What is GivenGain? under our FACQ’s. Check out the GivenGain Activists Fundraising Guide. for some more tips on Fundraising. Find something – anything – and raffle it. Get friends to donate money per kilometer that you ride/run/swim. Or per hour that you dance/drink/eat. This sample Sponsor Form will get you going. Always remember to thank your donors so they keep coming back for more. See our sample Thank You letter here.